Is It True That Kids Are Left To Their Own Mobile Devices - I Am Proud Of My Kids! 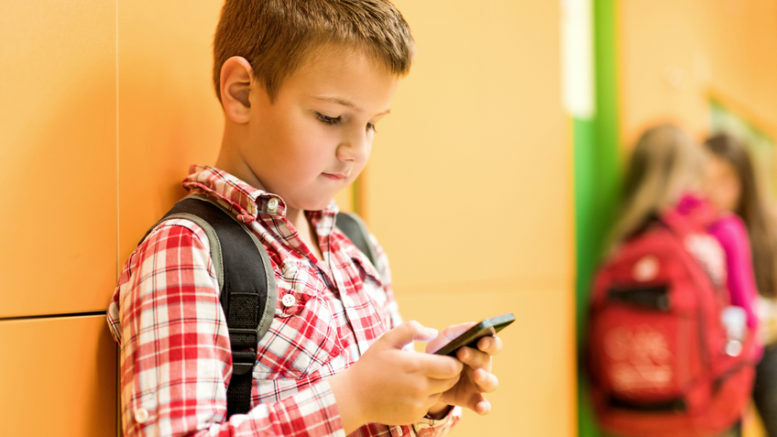 Elementary student standing in school hallway and text messaging on cell phone. A recent survey has found that most children are left to their mobile devices without adult supervision. Parents just leave their old phones to their children or buy new tablets for them. At their age, it is very hard for them to develop a phone plan. Research was carried out on actual parents. The findings were quite worrying. Child mobile device ownership has grown significantly over the years. In extreme cases, some kids are addicts and can even use two devices simultaneously. Parents who don’t like embarrassing their children are left without a choice in public. Others just prefer keeping their children busy while doing their chores. Children under two years should be restrained from screen exposure. However, controlled use of child interactive apps could be helpful. Be the first to comment on "Is It True That Kids Are Left To Their Own Mobile Devices"